Videos have emerged of a Saudi suspected of being behind Jamal Khashoggis murder walking around Istanbul in the journalists clothes shortly after he was last seen. In footage released by CNN, Mustafa al-Madani, one of 15 Saudis who is believed to have travelled to Istanbul from Riyadh with the intention of killing critic Khashoggi, is seen wearing the journalists shirt, trousers, jacket and glasses. He also appears to be wearing a fake beard and his own shoes. Madani, along with an accomplice, is seen walking to the central Sultan Ahmed Mosque, commonly known as the Blue Mosque, which he disappears into for a short amount of time. Soon after, Madani reappears wearing the same clothes that he was wearing when cameras captured him entering the consulate at 11:03am, two hours before Khashoggi arrived. The footage then shows Madani and the accomplice laughing and relaxed as they make their way back to the consulate. On the way, they dumped a plastic bag, likely containing Khashoggis clothes, in a rubbish bin. A source close to the Turkish investigation told Middle East Eye that once the two men returned, the Saudi hit squad reviewed footage of the imposter on the consulates own CCTV cameras. According to the source, it was decided that the two men did not look sufficiently alike, and so the conspirators decided to wipe clean the consulates CCTV footage. The source said dressing Madani up as Khashoggi and claiming he left the building was a plan hatched before Khashoggis death, and shows that his killing was premeditated. Five Turkish employees of the Saudi consulate in Istanbul gave witness statements on Monday to investigators probing Khashoggis killing. The five employees join 20 others already interviewed last week. Investigators are seeking to take statements from all 45 consulate workers within the coming days. Turkish President Recep Tayyip Erdogan announced over the weekend that he will reveal the “naked truth” behind Khashoggis killing on Tuesday. "We are looking for justice here and this will be revealed in all its naked truth, not through some ordinary steps but in all its naked truth," he told a rally in Istanbul on Sunday. His statement to a parliamentary committee will coincide with the opening of a major investment conference in Riyadh that has seen several world and business leaders pull out as the scandal around Khashoggis death grows. Saudi Arabia has sought to check the fallout by arresting 18 people suspected of killing Khashoggi, dismissing two top officials and claiming the journalist and government critic died accidentally after being put in a chokehold. However on Sunday, Saudi Foreign Minister Adel al-Jubeir further muddied the waters by saying that in fact the kingdom didnt know how the Washington Post columnist died. Jubeir added that the Saudi government did not know the whereabouts of Khashoggis body. The location of Khashoggis remains has become a key part of the Turkish investigation. Anonymous Saudi officials have told Western media outlets in recent days that Khashoggis corpse was rolled into a carpet and handed to a “local collaborator” to dispose of. This account has been denied by a Turkish source close to the investigation, who told MEE that Khashoggi was cut into 15 pieces by Saudi forensic pathologist Salah Muhammad al-Tubaigy. According to the Turkish source, there was no carpet involved. "They did not roll anything up in anything," the source said. 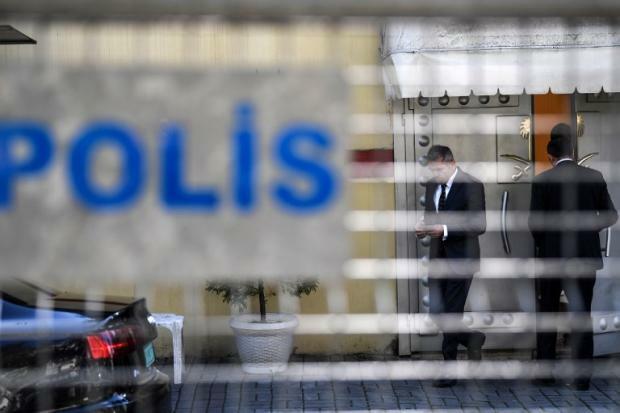 Investigations have now led Turkish authorities to believe that part of Kahshoggis body was carried out of Turkey by one of Saudi Crown Prince Mohammed bin Salmans bodyguards. Maher Abdulaziz Mutrib left Istanbuls Ataturk airport on 2 October, the day of Khashoggis death, on a private jet with tail registration HZ-SK1. As he travelled using a diplomatic passport, the intelligence officers large black bag was not checked by security. Neither was the plane, which departed at 18:20. A second jet, with registration HZ-SK2, carried another batch of the 15 suspects, but was searched as by then the alarm had been raised that they might be behind Khashoggis disappearance. 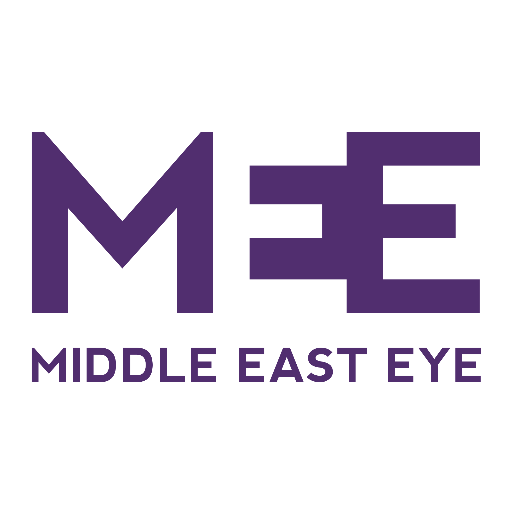 MEE understands that the Turkish prosecutor-general has accrued enough evidence to charge all 15 Saudi suspects with murder, but is waiting until some or all of Khashoggis body has been recovered to issue a final report. Turkish investiagtors have for days been scouring the consulate, the consul-generals house and woodland areas on the citys outskirts for Khashoggis remains. The probe has also taken them to the town of Yalova, some 90km from Istanbul. So far, the search for Khashoggis corpse has been fruitless. Despite Riyadhs admission that its operatives were at fault for Khashoggis death, and statements of remorse from members of its leadership, international outcry over the apparent murder is growing. Over the weekend, German Chancellor Angela Merkel said her country would suspend arms sales to the kingdom. "First, we condemn this act in the strongest terms," the German leader said. "Second, there is an urgent need to clarify what happened – we are far from this having been cleared up and those responsible held to account … As far as arms exports are concerned, those can't take place in the current circumstances." And on Monday, the German economy minister called on all European countries to do the same.